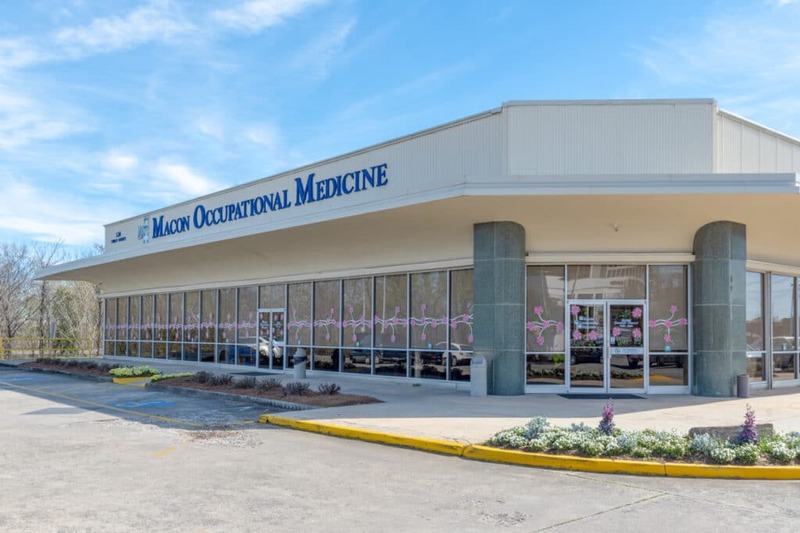 Macon Occupational Medicine (MOM) has served Middle Georgia since 2001. Our primary facility encompasses 12,500 square foot and is located on the corner of Third Street & Riverside Drive in historic downtown Macon, Georgia. MOM is the premiere occupational and environmental medicine provider in Central and South Georgia. Services are provided from 7:30 a.m. until 5:00 p.m., Monday thru Friday. MOM provides a 24-hour network via an affiliation with local hospitals and urgent care facilities using protocols developed to keep employees on the job. If you are traveling outside abroad, MOM provides pre- and post- travel immunizations using CDC guidelines. MOM is the only certified yellow fever center in Central Georgia with full-time physicians on-staff. For more information call our office at (478) 751-2900. Macon Occupational Medicine provides a multi-million dollar economic impact to Central Georgia. With the purchase of our facility at 124 Third Street, MOM added a positive tax base to Bibb County, as the previous owner was a non-profit organization and did not pay property taxes. MOM employees a stable staff of more than 40 employees. In 2018, MOM brought in over 44,000 patient visits to the Downtown Macon area. Thus, exposing these customers to other businesses in the Downtown area. In 2018, MOM served over 1,800 businesses in the Central Georgia Area. MOM named the 2016 Small Business of the Year by the Greater Macon Chamber of Commerce. In 2007, MOM was selected as the “Partner in Economic Development” by the Macon Economic Development Commission for it’s significant contributions to the economic vitality of Central Georgia. Winner of the 2005 Small Business of the Year by the Great Macon Chamber of Commerce. 2004 Better Business Bureau Torch Award Winner for Marketplace Ethics recipient. Our highly qualified professional team consists of board certified occupational & environmental medicine physicians, registered nurses, certified radiologic & laboratory technologists, certified medical assistants, physical therapists, occupational therapists, licensed physical therapist assistants, certified occupational therapist assistants, certified industrial hygienists, certified safety professionals, certified hearing conservationists, certified breath alcohol technicians, certified professional collectors, certified work capacity evaluators, certified impairment evaluators, certified ergonomic evaluators, patient account representatives, and patient account specialists.